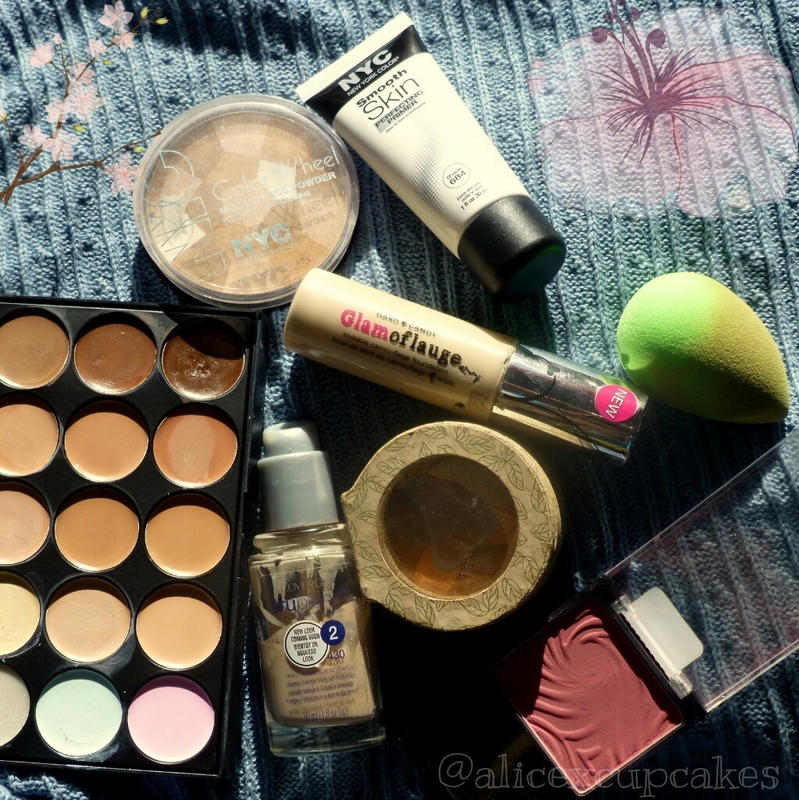 A couple months ago, I was on yet another hunt to find a foundation shade that would work for my pale skin tone. My problem is, most of the lighter foundation shades out there are warm tones a.k.a yellow/orange, and I need a cool pink toned foundation. Once you get into high end brands, it’s easier to find a shade that fits you, but I rarely stray from the drugstore since I don’t want to shell out 25+ on one product. I’d been using Covergirl TruBlend in Classic Beige for ages, because I found it for only 3 dollars a bottle at Big Lots, and it sorta matched my skintone, but not quite. After reading a bunch of reviews on Makeup Alley, I heard that Hard Candy’s Glamoflauge Foundation was a good line, with pale shades and for only six dollars. I picked out the lightest shade which was Porcelain and it was actually spot on for me, almost too pale! But once I use bronzer and blush, it looks fantastic. Or if I just want to use foundation by itself, I’ll mix it with a tiny bit of that Covergirl TruBlend. I’ve worn it to a couple of all day cosplay meetups, and even a convention so I’ve really put it to the test! It lasts all day without smudging or fading, it looks great it photos, and it doesn’t oxidize at all. It does dry matte and slightly powdery, which I love because I tend to get oily throughout the day. But if you do have dryer skin, it does emphasize that a bit. Lately I’ve been skipping powder, because I’m not a fan of the really powdery look, and the foundation still holds up amazingly, it doesn’t need to be set with a powder to last. I filmed my foundation routine so you can see for yourself how it applies, the foundation is super opaque so I only use a quarter sized dollop, and I usually have a bit leftover even after using a beauty blender, which tends to soak products up.